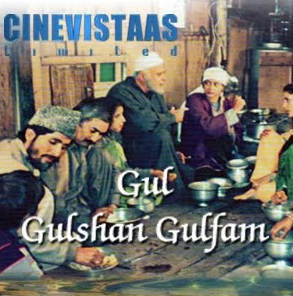 Episode #13 of Hindi TV Serial Gul Gulshan Gulfam takes us ahead in the same emotional segment we witnessed in Episode #12. The episode starts with emotional quotient. We see Haji and his wife are preparing for Parveen’s marriage. In an authentic scene showing the preparation of a girl’s marriage in a typical middle class family; we see Parveen’s mother was packing the dresses for her with utmost care. The conversation between she and Haji is armed with well written dialogs. It explores a father’s worries about her daughter at the same time it explores the wisdom of a mother and her realistic approach to the life. Both Parikshit and Radha are excellent and convincing in the scene. They are so realistic that you cannot imagine anyone else playing these roles now. Haji also suspects that there is something Parveen is not fully happy with. However his wife ask him that there seems nothing wrong with Parveen, the feelings she is passing through are natural and normal. When one of her sister-in-laws tried cheering Parveen up, she got even furious and broke down. As no one suspects Parveen’s feelings for Razak (which was mutual from both the sides), no one know for sure that what is wrong, if anything. But Parveen’s behavior is self spoken. The actresses playing Parveen and her sister-in-law are not very convincing but they are good. This conversation have some very realistic and emotional dialogs with wisdom implanted. Razak is passing through similar situation. The actor playing him is not convincing in acting or even body language. During the conversation between Haji and one of his royal guest we also got to notice mentioning the references of the changing times in Kashmir. Especially things started getting cluttered and chaos was almost started. It is followed by a nice scene where we see the mother-daughter conversation between Parveen and Aziza which is later joined by Haji. The scene between Parveen and Razak is far from convincing in terms of acting and body language, it has good dialogs though. The conversation between Parveen and her sister-in-law is long and realistic. Overall an episode with more emotional quotient and first rate dialogs. Sets are effective and realistic. A few actors are under performing, but the seasoned actors balance the things pretty well. Overall it is a really nice episode to go for. If you like this article then do not forget to share it with your friends over various social networks via Twitter, Facebook, Google Plus and others. And yes, you may like to subscribe to our RSS feeds and follow us on various Social networks to get latest updates for the site to land right in your mail box. And yes, do let us know your remarks via comments below, we love to hear from you.